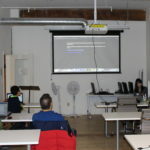 In celebration of International Women’s day, CoderDojo held a Learn to Code event on March 10th, 2019. It was a great success with 14 learners attending. The theme for International Women’s Day was Balance for Better to create a gender-balanced world. 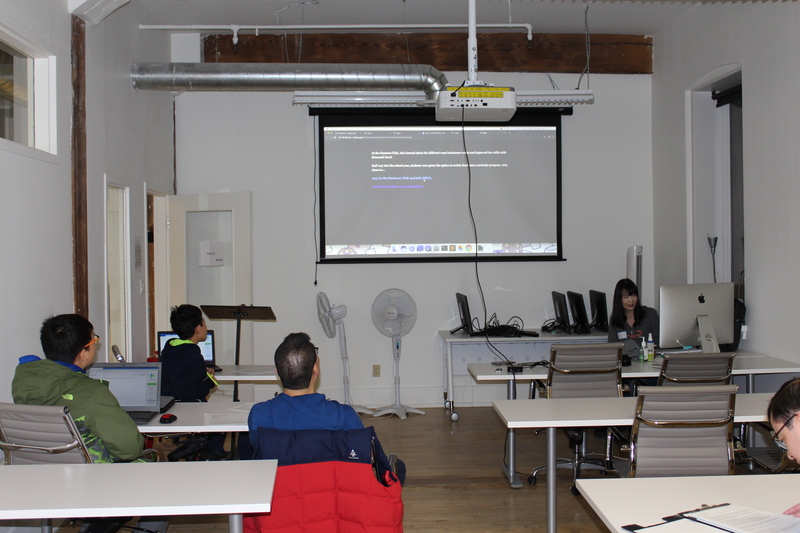 If the attendance of the event is any indication, we have a good foundation for that in the next generation of coders. 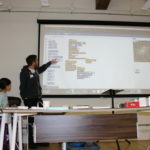 This event wouldn’t have been possible without the support of the mentors as well as Bitmaker General Assembly, who provide us with a place to run our CoderDojo events. 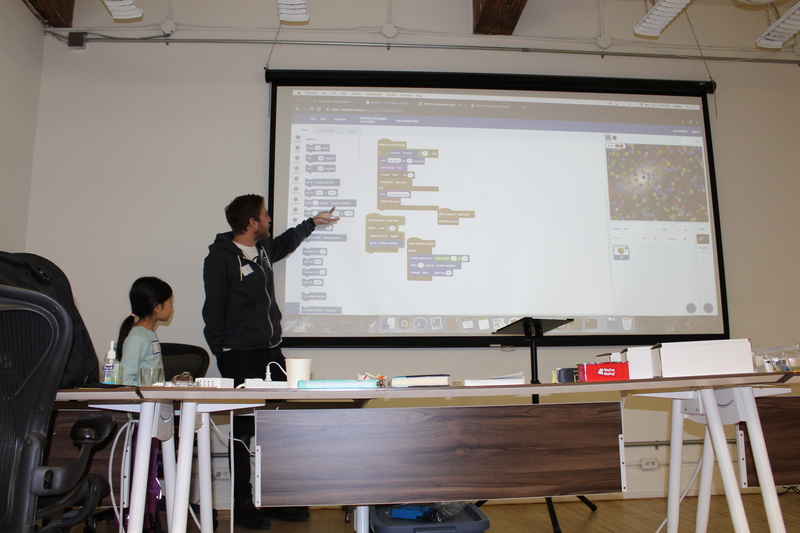 Scratch is a great intro to programming tool as games, interactive animations, and stories can be constructed easily with scripts being ‘snap-together’. 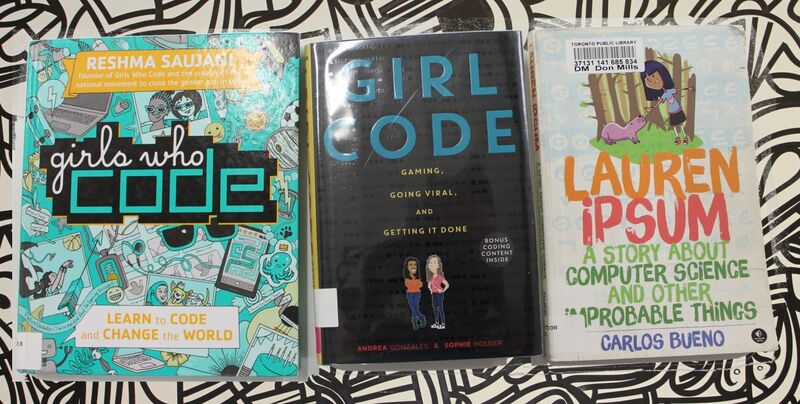 International Women’s Day themed resources were available to help learners build stories and animations. Several learners made use of these, while others constructed their own fantastic Scratch projects. Twine is great for interactive ‘Choose-your-own-adventure’ style stories. Your story can have multiple paths, but also have a more programmatic flavor to really make the storied tailored to not only the readers choices of the story path. The learners taking the Twine workshop learned the basics of creating Twine stories, and started to create their stories. At the end of the session several of the learners presented their work in the showcase. The first project is called Find the dot-game. The player has to find and click on the orange ball on the screen with increasing numbers of other colored balls moving on the screen at the same time. Each time the player clicks on the orange ball, they finish the level, which increases the difficulty level by putting more moving balls on the screen. 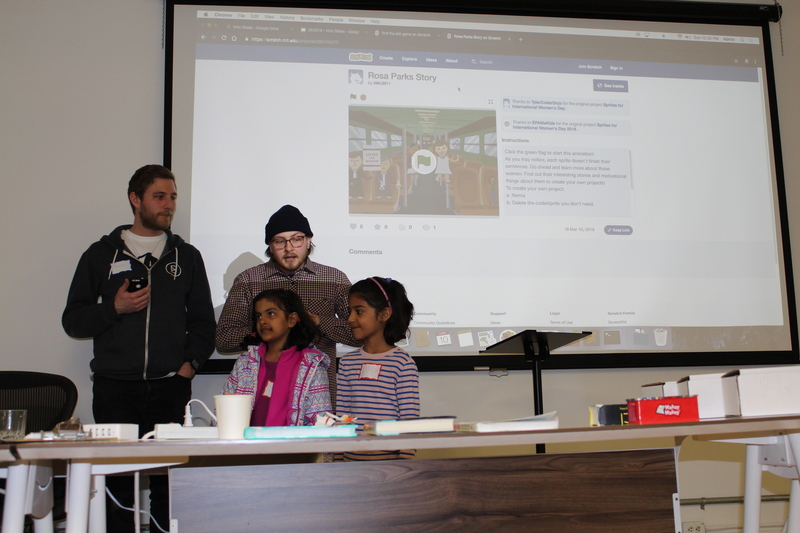 The second project presented during the showcase was a project in Scratch, which is an animation about Rosa Parks, who was an activist during the civil rights movement in the USA. The Scratch project is a story with 4 scenes, showing the major scenes in her story. The story has a narrator who tells the major points of the story, as well as dialogue that details some of the events Rosa was a part of. Lots of fun and learning was done by everybody. 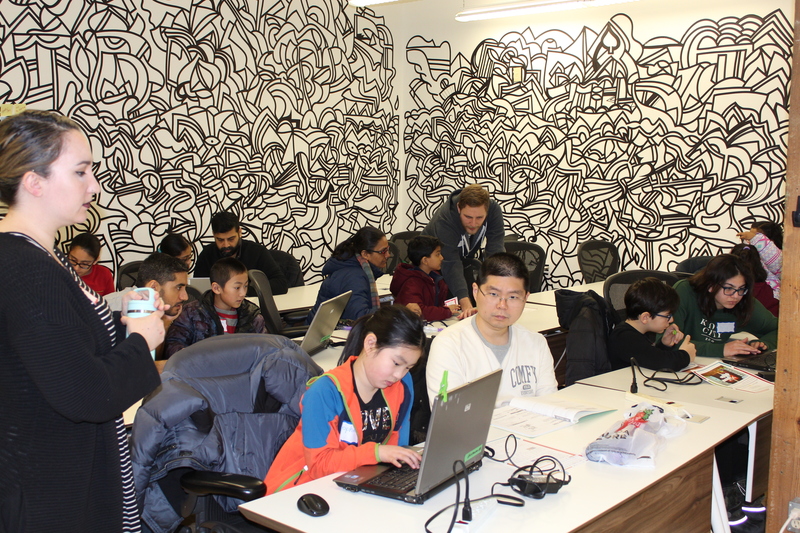 If you couldn’t make this event, this month CoderDojo is also running a Kids Drop-in Coding workshop on the 17th. There will be another event in April. Stay tuned for details.